Do you relish filling your Instagram feed with dazzling travel photos? Where can you find the best places to capture historic or modern culture, or to make your photos pop? Consider our picks for the coolest places to brush up on your photography in Tokyo. 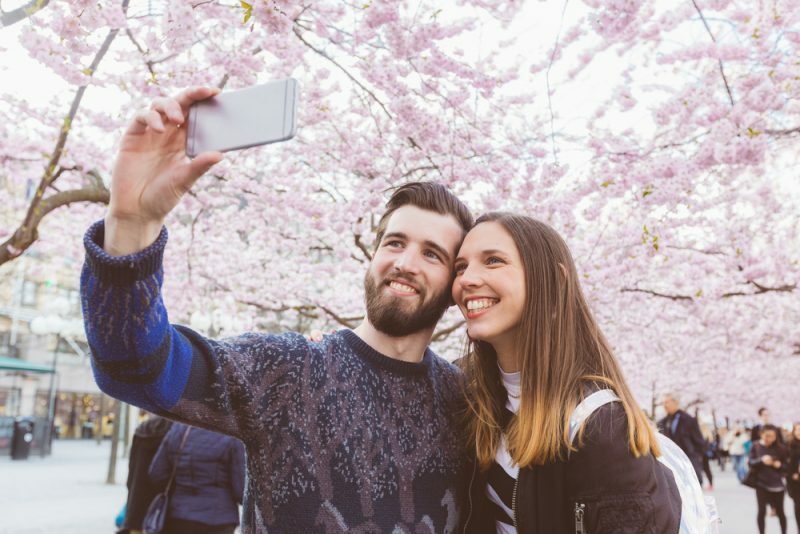 The following list encompasses ten of the best Instagrammable spots in Tokyo. 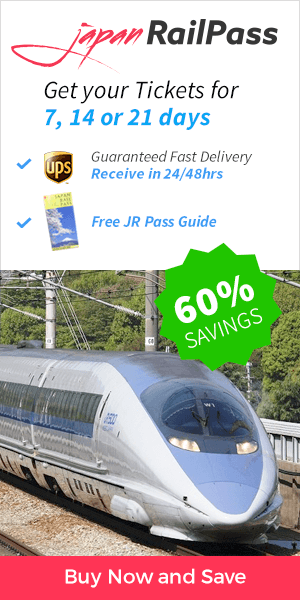 Don’t forget to use your Japan Rail Pass for fast and easy travel. The Nakameguro is the perfect spot to capture Tokyo in each of its changing seasons. In the spring, pink cherry blossoms frame the river. In fall, it is an excellent spot for koyo as the leaves begin to change. In winter, the trees are strung with twinkling lights. How to get there: From Tokyo Station, take the Yamanote Line clockwise to Ebisu Station. The Meguro River Park and the Cherry Blossoms Promenade is about a seventeen-minute walk from Ebisu Station. Asakusa is one of Tokyo’s oldest neighborhoods, and it still holds the charm that has given way to progress in other parts of the city. You will see old-school architecture, lantern-style street lamps, and perhaps even a man-powered rickshaw. How to get there: From Tokyo Station, take the Tokaido Line to Shimbashi Station. From there, take the Asakusa Line to Asakusa Station. Known as “the cutest street in Tokyo,” Takeshita Street is located in Harajuku. You’ll find cuteness galore, from kawaii clothing shops to pink crepe shops and rainbow cotton candy vendors. The crepe shops are among the most popular local selfie hot spots. How to get there: From Tokyo Station, take the Yamanote Line counter-clockwise to Harajuku Station. Takeshita Street is about a one minute walk from the station. The 61-acre Hamarikyu Gardens date back to the 1600s. Fields of flowers dominate the landscape, standing in unique contrast to the surrounding business district. The gardens are designed to be awash in a different color each season. The Gardens are also a popular spot for wedding photography among the locals. How to get there: From Tokyo Station, take the Keihin Tohoku/Yamanote Line to Shimbashi Station. The Gardens are a thirteen-minute walk from the station. From the roof of Roppongi Hills, the entire city of Tokyo will sprawl before you. The view includes iconic landmarks such as Tokyo Tower and Tokyo Skytree. On a clear day, you may even glimpse Mount Fuji. How to get there: From Tokyo Station, take the Yamanote Line Clockwise to Yurakucho Station. Walk five minutes to Hibiya Station, and take the Hibiya Line to Roppongi Station. Roppongi Hills is a five-minute walk from the station. The thirteen floors of this open concept office space resemble a dollhouse or modern abstract art. The many colorful exterior doorways make it an Instagram hotspot, especially when lit up at night. How to get there: Take the Keihin Tohoku/Yamanote Line from Tokyo Station to Shimbashi Station. From there, take the Yurikamome Toyosu to Fune-no-kagakukan Station. The Soho is a five-minute walk from the station. The entrance area to Tokyo Plaza features many geometrically patterned mirrors affixed to the walls and ceiling. You’ll see people stopping for photos at the top of, bottom of, and on the escalator. The futuristic reflections make for intriguing selfies and street photography. How to get there: From Tokyo Station, take the Yamanote Line to Harajuku Station. The Plaza is about a six-minute walk from Harajuku Station. The myriad red torii gates of Kyoto’s Fushimi Inari shrine are Instagram magic. But if you’re visiting Tokyo, you can get the same photographic effect without traveling all the way to Kyoto. The Hie Jinja Shrine also features a path lined with torii gates. This shrine is smaller, and therefore less crowded – making it even easier to capture great photos without strangers wandering into your shot. How to get there: From Tokyo Station, take the Yamanote Line to Shimbashi Station. Then, take the Ginza Line to Tameike-Sanno Station. The shrine is about a seven-minute walk from Tameike-Sanno Station. Akihabara is Tokyo’s hub of anime and otaku culture. In addition to brightly lit electronics stores and cartoon-themed cafes, you will likely see fans dressed as their favorite characters. How to get there: From Tokyo Station, take the Keihin Tohoku/Yamanote Line to Akihabara Station. Shibuya Crossing is the quintessential Tokyo photo op; it is the Times Square of Japan. Shibuya Crossing is the world’s busiest pedestrian crossing – about a million people daily – and it is surrounded by Tokyo’s famous neon lights. You may not be a lone photographer, either – film crews frequent the area for movies, television shows, and music videos. How to get there: From Tokyo Station, take the Yamanote Line to Shibuya Station. The Crossing is about a four-minute walk from Shibuya Station.